He is a die hard disciple of pujya gurudeva shri dadaji. His commitment , long hours of duty hard work and honesty regarding his work and a great understanding of vastu distortions and its rectifications has paved his way to become the head of the yantra department. His job includes yantra nivarana to be executed on site . he can handle the execution with various machines like drilling , cutting and jcb machines. his job also includes material procurement, quality check and also to execute the services & charity projects undertaken by vaasthu associates. He & his team has travelled through the length and breadth of the country to execute the jobs satisfactorily for the clients of vaasthu associates. He has been trained by mr. Mahesh gyani and has been given a team of dedicated people to help him do his job role. His most worthy role is take care of shree dadajis kutiya and also decorate it on various occasion. He is with vaasthu associates since 2004. A very old associate of vaasthu associates since 2004 . joined v.a. as a gardener but because of his hard work and commitment and the urge to in pujya gurudevas surroundings and blessings he joined as an assistant to Mahesh chauhan. Great understanding of vastu rectifications on site with the help of yantras ,wire , pins and various other means. Cool character happy but sincere in his job. He still maintains the garden and the store of the orgn when he is not outstation. Hard working and a good technician. manages the installation of various yantras in the most difficult of situations and sites. He is immensely blessed by gurudeva because his yantra installation job is the most difficult where he directly comes face to face with the negative energies. But with the blessings of gurudeva he is well protected. He travels a lot for this job, and works in very difficult situations without complaining because he realizes that his efforts r going to bring fruits in somebodys life. He works with the team of yantra department. He is an direct assistant of mr. dinesh and assists in the jobs that r handled by him .always smiling , ready for any work and put in long hours , ready to travel , make long trips . The whole team is well equipped with all types of required machinery and expertise for the job. They have done many mega vastu projects with the help of cranes and jcb. 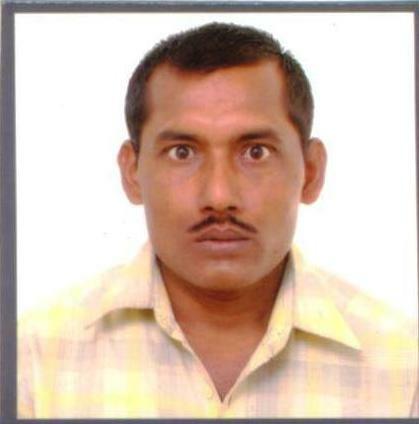 Mr. Mahesh gyani has been a factory owner and has done many civil jobs as contractor and builder earlier in his career. They are all trained under him.